Compared to The Unloved and Beautiful Mutants and Swallowing Geography, this is Levy’s most perceptive and beautifully written effort. It is not a straightforward memoir that marches from birth through life. Rather, it has the feel of a conversation that moves from one subject to another in a natural, engrossing manner. It is an intellectual exercise that examines her truth, a truth that is not dictated by parents or husband or employer. In the course of one brief paragraph, for example, she writes about writing and gardening, noting the way squirrels outside her writing shed scampered about and turned to look at her. They reminded her of the theme in Things I Don’t Want to Know, which considers “things that are known to us anyway, but we do not wish to look at them too closely.” She concludes the paragraph by noting that “Freud described this wish to unknow what we know as motivated forgetting.” This last is particularly resonant to me. I spent five years as an education “judge” who had the sole responsibility to determine whether a student would be removed from school for the remainder of the year. Regardless of my ultimate decision, it was, and continues to be nearly thirty years later, a struggle to “unknow” what I knew. Freud, de Beauvoir, Kierkegaard, Genet, Dickinson, Orwell, Lessing, and many more thinkers and writers inhabit this interesting memoir. Each is quoted for a particular reason that moves her story, not just as an excuse to show off. “All writing is about looking and listening and paying attention to the world,” Levy writes. She then pierces the heart of Jane Eyre and connects with the aforementioned squirrels: “Just as the squirrels in the apple tree by my shed were aware that I was there all the time, Jane’s cruel aunt, Mrs Reed, believes that her impoverished young niece is observing her all the time…That is how my mother felt about me.” This leads naturally into a remembrance of her mother. Her brief account of their complicated relationship and her mother’s death (which came soon after Levy’s divorce) is sad and joyous and some of Levy’s most beautiful and engaging writing. 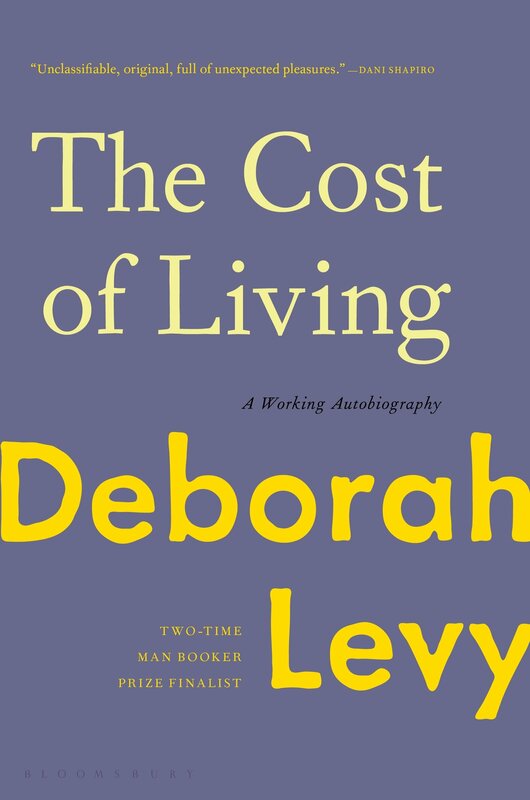 Levy concludes, “The writing you are reading now is made from the cost of living and it is made with digital ink.” If this is, indeed, a working autobiography, one hopes that she will provide her readers a further examination of her life. 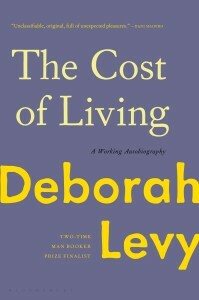 Deborah Levy writes across a broad spectrum of literature, including fiction, plays, and poetry, and now autobiography. A fellow of the Royal Society of Literature, her plays have been staged by the Royal Shakespeare Company and broadcast on the BBC.